As a native of Western Colorado, I have always appreciated the beauty of the area. I grew up camping and fishing on Grand Mesa, picnics at the Colorado National Monument, scenic drives and hiking through the surrounding canyons. 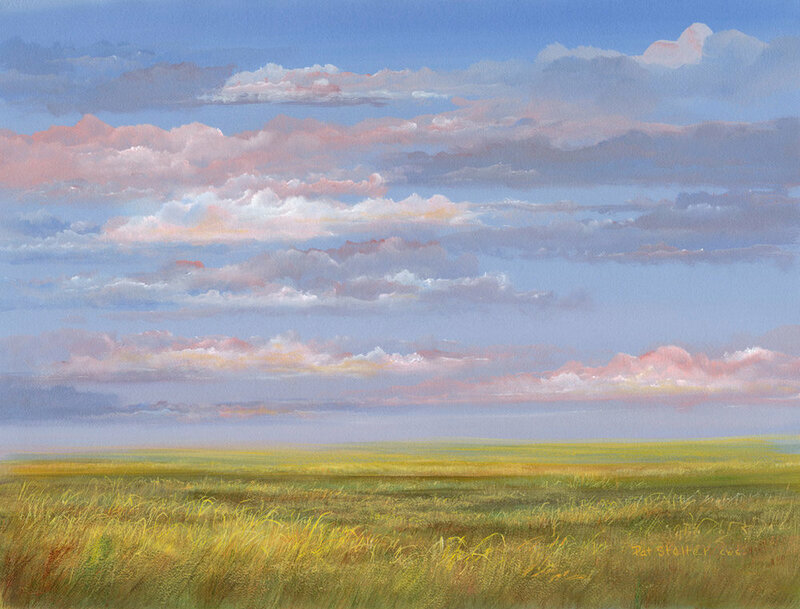 My studio is near Grand Mesa where there is constant inspiration for vast skies, brilliant aspen groves, and quiet mountain scenes. I love to paint and I paint what I love. Acrylic is my choice media either on paper as a watercolor, or applied to canvas or gesso board. I start with thin glazes and fine detail leaving some areas indistinct and open to imagination. My paintings are from my heart and sometimes I get lost in the process it is so much fun! 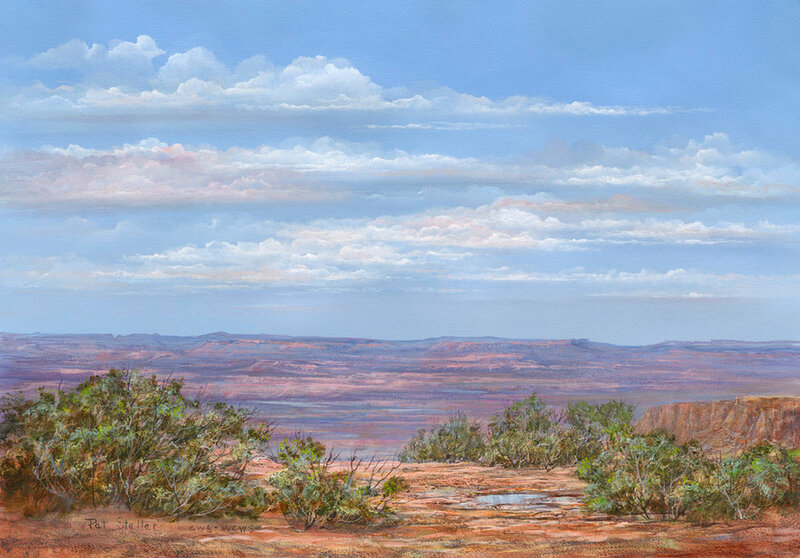 Pat is known for her sensitive acrylic paintings of the Rock Mountains West. As a fifth generation native of Western Colorado, her appreciation of this area comes naturally. She began expressing her feelings through art at an early age. After attending Mesa College, she continued her art education by studying and working with artists from throughout the world at Foothills Art Center in Golden, Colorado. While there, she held many positions, including Director of Art Education and Director of Installations. She also served on the Board for National Exhibits of water media, clay, and sculpture. 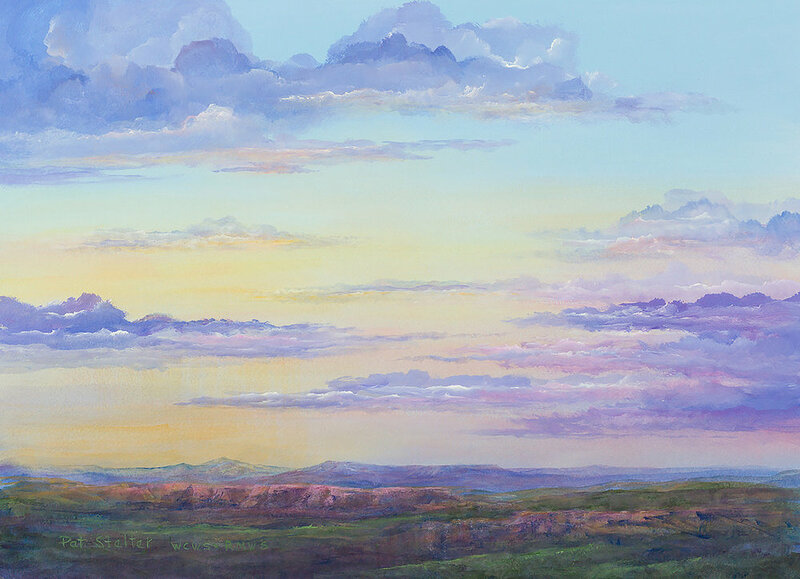 Now living back in Western Colorado, Pat finds inspiration everywhere for her landscape paintings of vast skies, canyons, and aspen groves. Her work is included in collections worldwide. Acrylic is her usual media for scenes painted on watercolor paper, canvas, or gesso board. 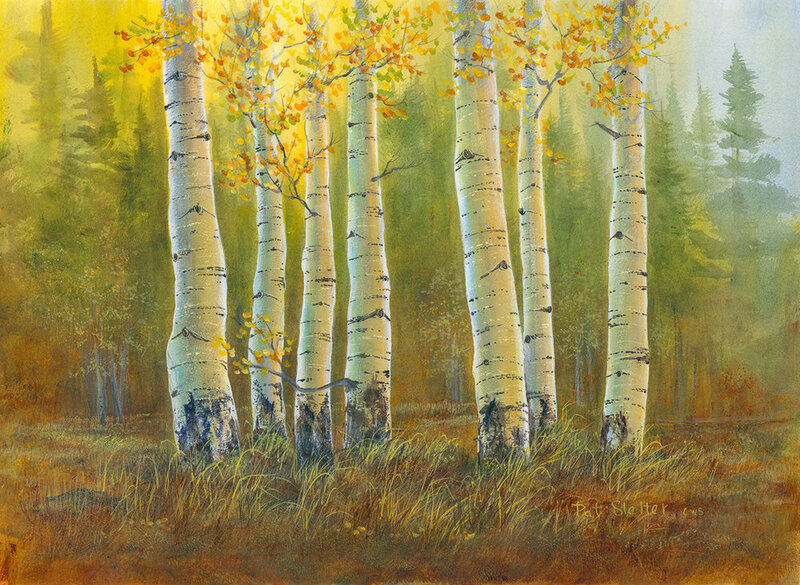 Pat has earned Signature Member status in The Rocky Mountain National Watermedia Association and The Colorado Watercolor Society; and she is a Master Signature Member in the Western Colorado Watercolor Society. Other memberships include the Brush and Palette Club and the National Society of Painters in Caseine and Acrylic.